Our first ride for February introduces our new mountain of the month, Mt. Israel. Mt. Israel isn’t nearly as famed as Mt. Soledad, but it is a signficant challenge located quite a bit closer to our starting point at Carbon Connection in Carlsbad. Coming in at 12% for 0.7 miles, the main climb on Mt. Israel is no joke indeed (see Strava segment page). The route will start off with a warm up down the coast, heading inland on Lomas Santa Fe to warm up the legs for climbing. 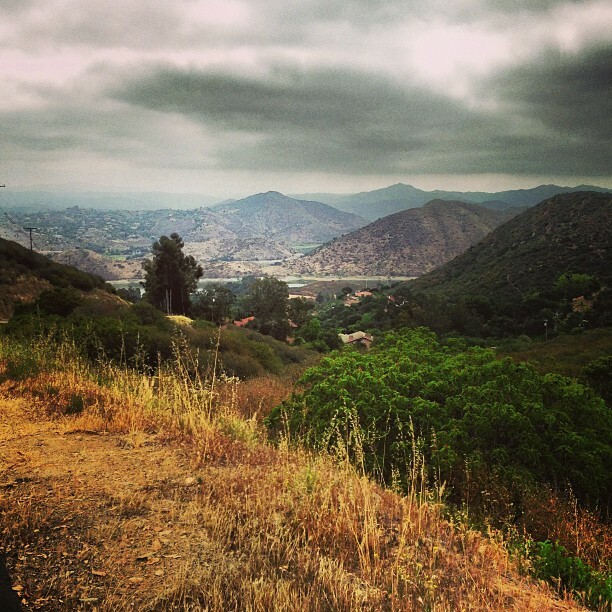 After passing through Rancho Santa Fe, the road changes names to the Del Dios many of us know so well, and we continue with some gentle climbing out toward Mt. Israel Road, which we hit around mile 24. As I stated earlier, the main part of the climb is about 0.7 miles, but you can continue you on the road another half mile or so until it involves crossing gates, stairs, and other things we won’t be adventurous enough to partake of on this day. This will be a great spot for a snack stop, also with great photo opportunities. We return down Mt. Israel to continue our trek up Del Dios to Escondido. We will work our way through some back streets to La Moree, where we will climb a little loop to take a peak at one of our future endeavors, Coronado Hills (+ Mt. Whitney, all the way to the towers). 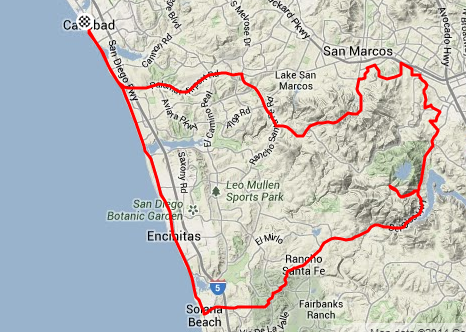 If we are feeling energetic, we can always take a run at the first part of Coronado Hills (0.6 miles and >12%), but we’d have to be feeling really energetic, since next up is working our way over through the CSUSM campus to the Twin Oaks climb. Again, there is always the option of giving Double Peak a go, but once we crest Twin Oaks at the fire station, we will most likely be looking forward to our mostly downhill cool down back to Carbon Connection. This ride is open to advanced and intermediate riders prepared for the distance and significant climbing. Note, however, that the Mt. Israel climb can easily be skipped or cut short if you are not feeling inclined to do the climb that day. It is an out and back, and you can either choose to wait at the bottom or continue on up Del Dios at an easy pace, waiting for the group to catch back up.